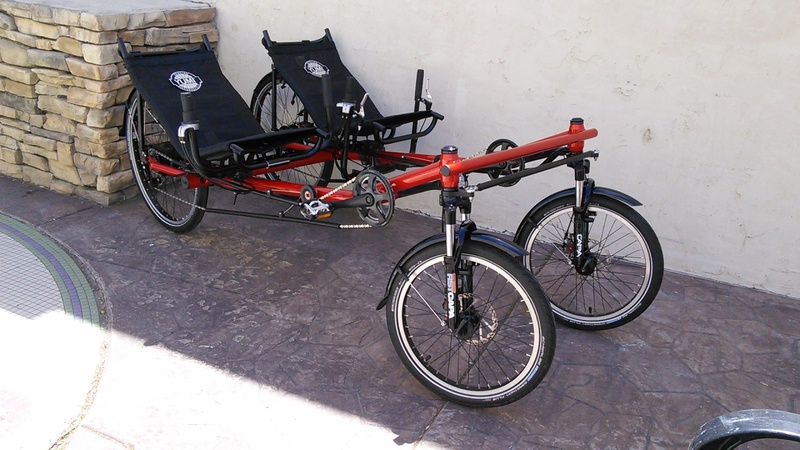 Never ride alone with the YUMI DLX side-by-side recumbent tandem. The YUMI is technically a sociable, with both riders sitting side by side. 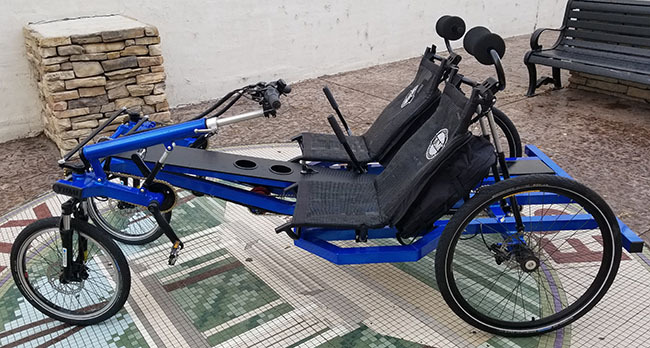 It's easier to enjoy cycling even more when you have a partner riding next to you. 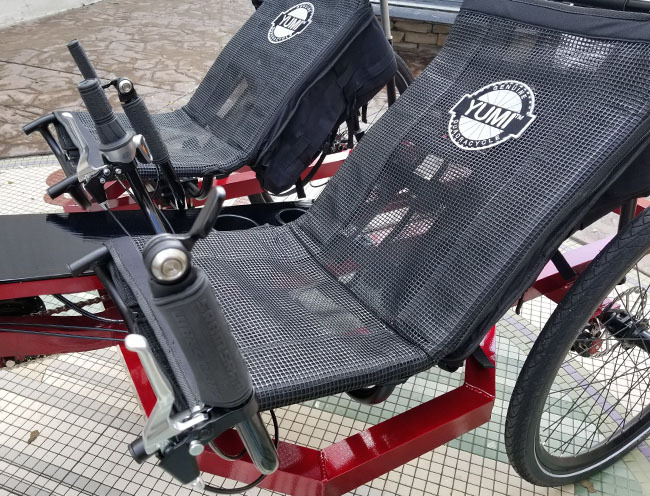 The YUMI is fun to ride, easy to adjust, and super comfortable. 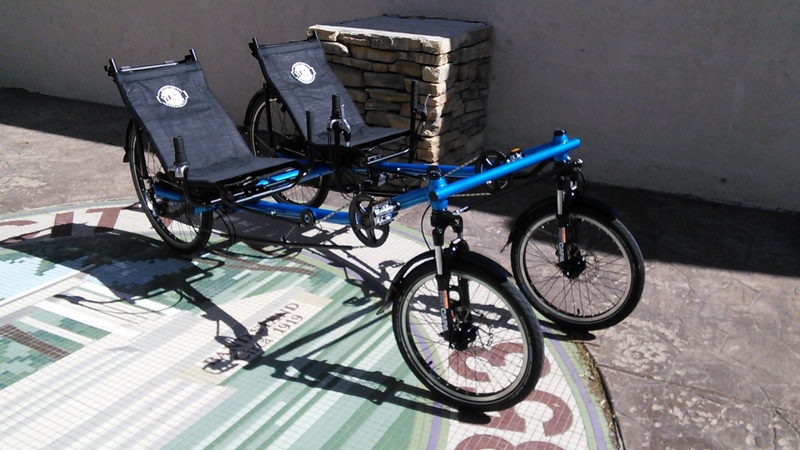 The YUMI (verbalized as You-Me) is a side-by-side, two-rider recumbent cycle. 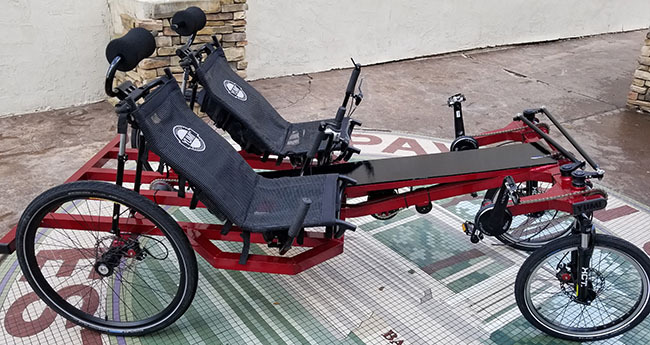 This format is also referred to as a "sociable" or sometimes as a "tandem," although tandems generally have one rider behind the other. 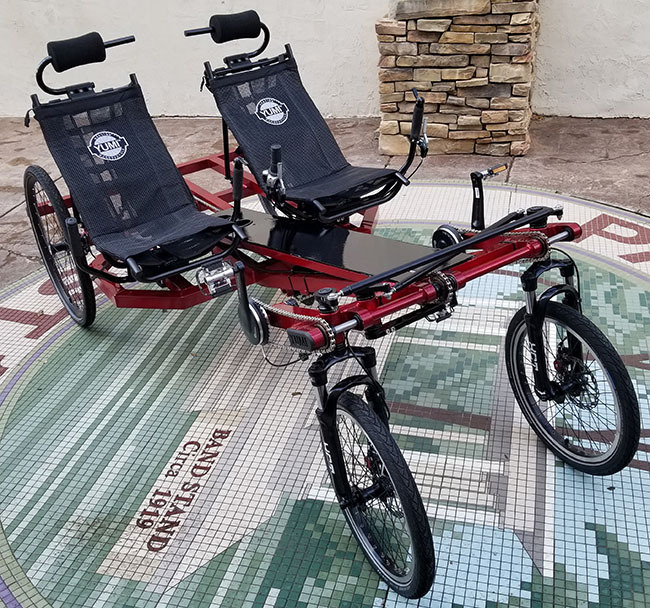 The YUMI DLX model features an aluminum frame, front suspension forks, and independent Nuvinci transmission drivetrains. Perfect for rental applications, the YUMI DLX is outfitted to as low maintenance as possible. 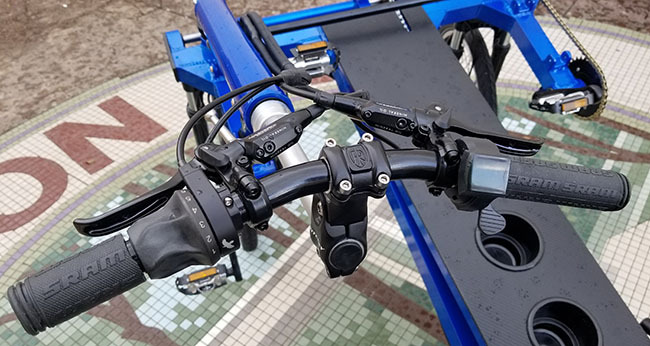 The DLX comes stock with the most flat-resistant tire we could find, the Schwalbe Marathon Plus, so you won't have to worry about occasional road debris. 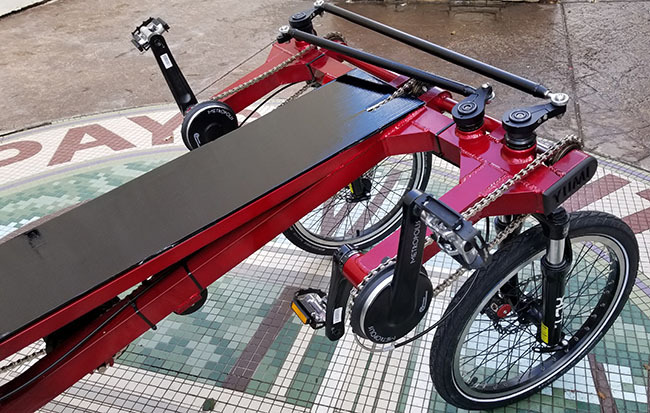 The Nuvinci transmission requires no adjustment, and the seats and handlebars are easily adjustable to accommodate a wide range of riders. The DLX also comes stock with full fender coverage on all four wheels. 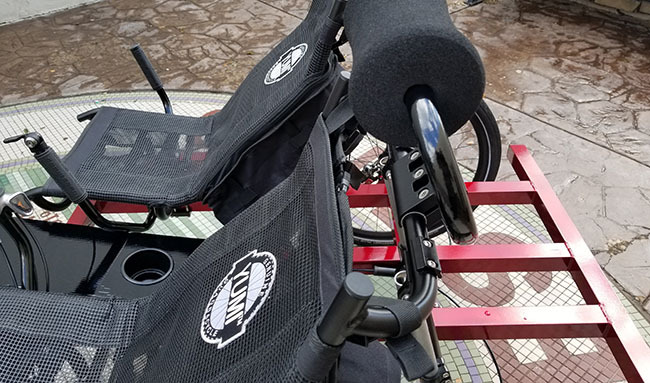 The YUMI was designed with rider comfort in mind. 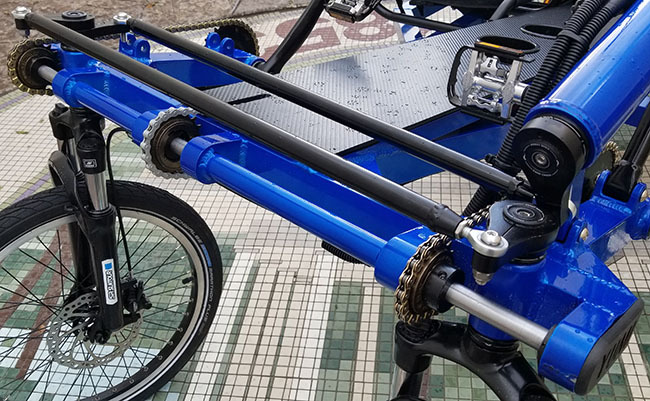 The YUMI features a custom jackshaft which allows both riders to pedal together or pedal independently. You don't want to make your passenger do all of the work, but you can if you want. 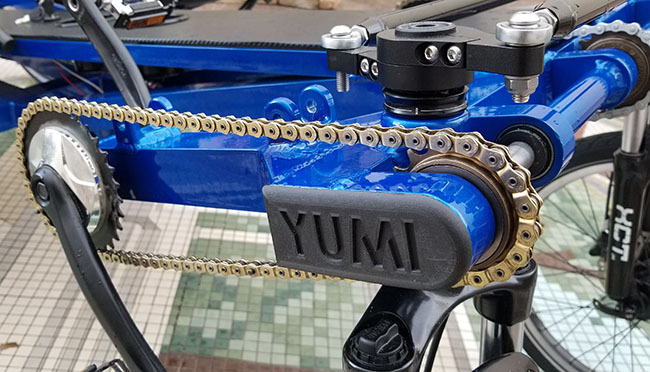 The YUMI can be customized in many different ways. 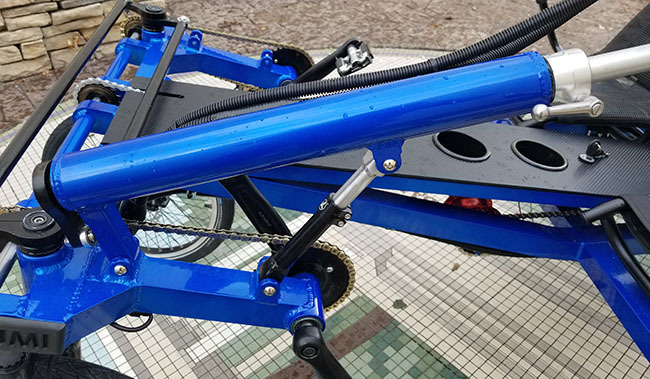 We offer both underseat steering as well as adjustable overseat steering.